June 2013 - Midwest Sports Publishing Network, Inc. The International Snowmobile Media Council had the honor of presenting the 2013 C.J. Ramstad Memorial Scholarship to one of Wisconsin’s own during the recent 45th Annual International Snowmobile Congress held in Green Bay, Wisconsin June 6-8. Dean Wingert, a 2013 graduate from Sheboygan Falls High School, was recognized at the International Snowmobile Congress during Saturday night’s award banquet for his winning essay and his outstanding involvement in the organized snowmobiling community, commitment to performing community service and his achievements in school. He and his parents, Dale and Beth Wingert of Sheboygan Falls, were on hand for the awards ceremony. Dean is a member of the Five Corners Snowmobile Club and the Sheboygan Falls Youth Sno-Riders Snowmobile Club, an all-youth snowmobile club for which he is president. 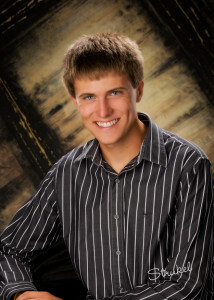 He is also active in the Association of Wisconsin Snowmobile Clubs’ (AWSC) Kids and Adults On Snowmobiles (K.A.O.S.) program, serving as the AWSC’s Sheboygan County Youth Representative. K.A.O.S. youth are dedicated to organizing youth clubs throughout the state, educating snowmobile enthusiasts of all ages to the importance of club membership, and to preparing themselves to take on leadership roles within the organized snowmobile community. The International Snowmobile Media Council invites all state and provincial members of the International Snowmobile Council, with representatives from the U.S., Canada, Sweden and Russia, to submit the first place winner in their own scholarship competition for consideration in the C.J. Ramstad Memorial Scholarship contest. Applicants are judged on the content, originality, writing style and grammatical accuracy of their essays, along with their knowledge of snowmobiling, work experience, and school and community involvement. Dean competed and took top honors in the AWSC’s 2013 scholarship contest, thus making him eligible for the Media Council’s scholarship contest. This is the second time in the five-year history of the Media Council’s scholarship contest that an applicant from the Association of Wisconsin Snowmobile Clubs has taken first place. Haslett, MI, June 25, 2013 – A long lasting winter and continued enthusiasm and interest in snowmobiling powered snowmobile sales to increase worldwide to 144,601 new sleds sold this past year. This is an increase of over 15,000 units, which is a 12 percent gain from last year. Sales in the United States were flat at 48,536 new snowmobiles sold, while sales in Canada rose over 8 percent to 44, 022 new sleds sold. The snowmobile community is optimistic following the above average snowfall throughout most of North America this past season. The 2014 manufacturers spring snowmobile shows reported dramatic increases in attendance. In many of the spring shows, visitation was up over 30 percent. Spring orders are up and that points to a good 2014 sales year! The snowmobile industry reports an increase in registered snowmobiles in North America to approximately 2 million registered sleds. Increased registration in Northern Europe and Russia continues, and there are over 700,000 registered units in the European community and Russia. Snowmobile related tourism also increased in North America and beyond. This can be seen in economic impact studies conducted throughout North America by major business colleges and universities. Miles ridden by snowmobilers (which is always predictive of economic impact) showed a 20 percent increase in the 2012-2013 season. This is a result of good riding conditions and improved and expanded trail systems. The average age of a snowmobiler this past season was determined to be 43 years of age. The average age increased slightly due to the fact that many younger adults are struggling to pay off school loans and are struggling due to the slower growth of the economy. Surveys conducted by ISMA have shown that slightly over 70% of first-time buyers in the snowmobile market purchased a used snowmobile. Many of them are young adults and they move on to purchase a new snowmobile later in life. The majority of snowmobilers in North America are club members and/or Association-Federation members (over 50%). These active, involved, outdoor enthusiasts build the trails and support snowmobiling access. Snowmobilers are also active charity fundraisers who raised over $3.4 million dollars for National Charities last year. The Go Snowmobiling website serves as another strong indicator for the interest in snowmobiling. This year more than 4.4 million visited the Go Snowmobiling site. This is a 15 percent increase above last year. Statistics show that approximately 20 percent of those visitors are individuals who do not own a snowmobile but are expressing a great deal of interest in owning a snowmobile and going snowmobiling. It was also noted that approximately 20 percent of the visitors to the site visited the rental outlet pages of the site. Indications are that many of the individuals visiting the rental site do not own a snowmobile but want to rent one during their winter vacation. This activity and interest in renting bodes well for future sales and the growth in the snowmobile rental market. 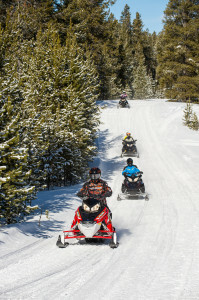 Additional surveys have found that snowmobilers are active in many outdoor activities. Many snowmobilers are also boaters, motorcycle riders, camping enthusiasts, hunting enthusiasts and general outdoor recreational activity participants. Many individuals have discovered that snowmobiling is a great recreational family activity in the winter. Many of those individuals are snowmobiling for reasons such as viewing the scenery, be with family and friends, and to get away from the usual demands of life and be close to nature. The continued broad-based growth of the snowmobile community includes the increased number of visitors and exhibitors in snowmobile shows. States and provincial organizations continue to grow and expand club membership. Many organizations report that new trails are being developed to support the positive economic impact of snowmobiling and job growth for the rural community. Economic impact studies generated by universities in North America show that snowmobiling is growing in importance as part of the overall economic engine and job growth for winter tourism. Estimates show that snowmobiling now generates more than $30 Billion Dollars of economic activity in North America. The economic activity generated by snowmobiling provides many jobs and investment opportunities and generates considerable tax revenue for local governments which eagerly support snowmobiling. 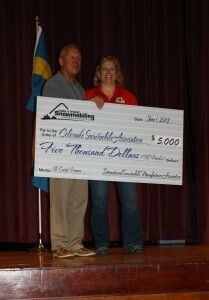 Ed Klim of the International Snowmobile Manufacturers Association presented the Colorado Snowmobile Association with $5000 during the International Snowmobile Congress held in Green Bay, Wisconsin on June 5-8. Haslett, MI, June 18, 2013 – The Colorado Snowmobile Association (CSA) won the 2013 Take A Friend Snowmobiling Contest sponsored by the International Snowmobile Manufacturers Association whose members are Arctic Cat, BRP, Polaris, and Yamaha. The members of the CSA and their clubs took 486 individuals snowmobiling in Colorado this past winter of 2012-2013. The CSA used their web site, the CSA Facebook Page, the monthly newspaper, as well as an annual direct mail letter to their members and follow-up e-mail to get the word out and obtain support and enthusiasm from the snowmobile clubs throughout the state of Colorado. In addition to their efforts in using their established media to communicate with their clubs and members, they also partnered with the State Park representatives and US Forest Service representatives located in Colorado. The effort was well planned and was strongly supported by the Board of Directors and the membership of the Colorado Snowmobile Association. In addition to putting out the word and inviting non-snowmobilers to Go Snowmobiling, the CSA spent time and effort ensuring that safety guidelines for all of the rides were used and they recognized the seven clubs that participated in the rides. The rides began in January 2013 and culminated at the end of March 2013. Many Colorado residents were introduced to snowmobiling and to the Colorado Snowmobile Association. The outings introduced potential new snowmobilers to the clubs and the state Association thus strengthening the club network and highlighting all of the hard work of the Association. The general media throughout Colorado enthusiastically supported the rides as they too were introduced to snowmobiling through the ride activities. Positive stories on snowmobiling ran throughout the state and new friendships were made with various Visitor and Convention Bureaus, Chambers of Commerce, other Tourism related individuals, and state Government representatives. Photos of the events highlighted the excitement and joy radiating on the faces of all who participated in the rides. You can see the experience was 100% fun and excitement for everyone involved! Event planning included easy riding opportunities for novice snowmobilers with carefully planned stops and of course good food! The manufacturers through the Go Snowmobiling Campaign effort were pleased to present the Colorado Snowmobile Association with a check for $5,000.00 during the International Snowmobile Congress held in Green Bay, WI. The manufacturers are looking forward to continued support of the Take a Friend Snowmobiling Campaign for 2014. $5,000.00 Prize Awards are available to eligible Associations and Federations. The 2014 Take a Friend Snowmobiling Contest Winners will be recognized at the 2014 International Snowmobile Congress, which will be held in Keystone, Colorado June 11-14, 2014. A campaign action manual and contest form, highlighting the guidelines to apply for the Contest is located on both of the manufacturer web sites: www.snowmobile.org and www.gosnowmobiling.org . Duluth, MN- For the first time ever, the Twin Ports will be hosting an International Watercross Association event, The Superior Watercross Shootout! Racers will be riding snowmobiles on water! Races will be held at Barker’s Island in Superior, WI, on Saturday August 17th and Sunday August 18th. The event will consist of drag and oval racing, with the final championship races taking place on Sunday afternoon. Watercross was born over three decades ago in Grantsburg, WI. The goal was to see who could make it 300 feet from an island to the shore. Most failed, yet that did not stop people from continuing to try. Every year, the extreme sport grows in popularity. Today, nearly one hundred registered riders, with participants as young as 14 years old, compete in both drag and oval races. Simple modifications are needed to make an ordinary snowmobile race across the water, such as sealing gaps and removing the oil injection tank. The International Watercross Association (IWA) is a member owned and operated nonprofit organization that was started in 1988 as a way to promote safe and uniform snowmobile watercross racing. Safety is important to the IWA. All drivers are required to wear helmets, eye protection and life jackets. For more information on the event, pictures, and videos, visit www.superiorwatercross.com.